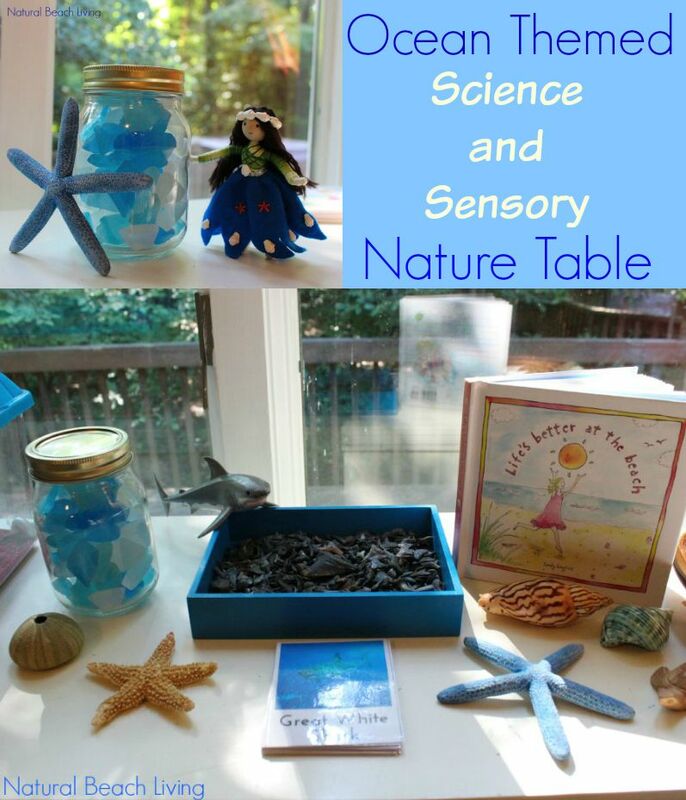 Summer is here, and when summer comes, we go Ocean Theme crazy. 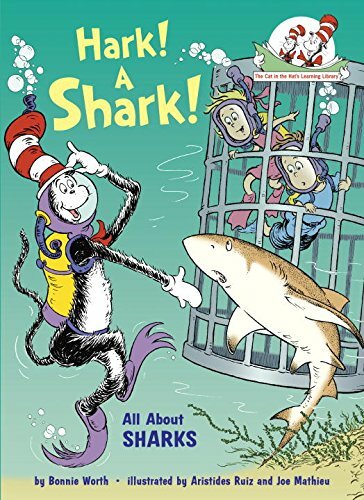 Of course, we love the beach, we throw under the sea birthday parties, and we always look forward to watching Shark Week. 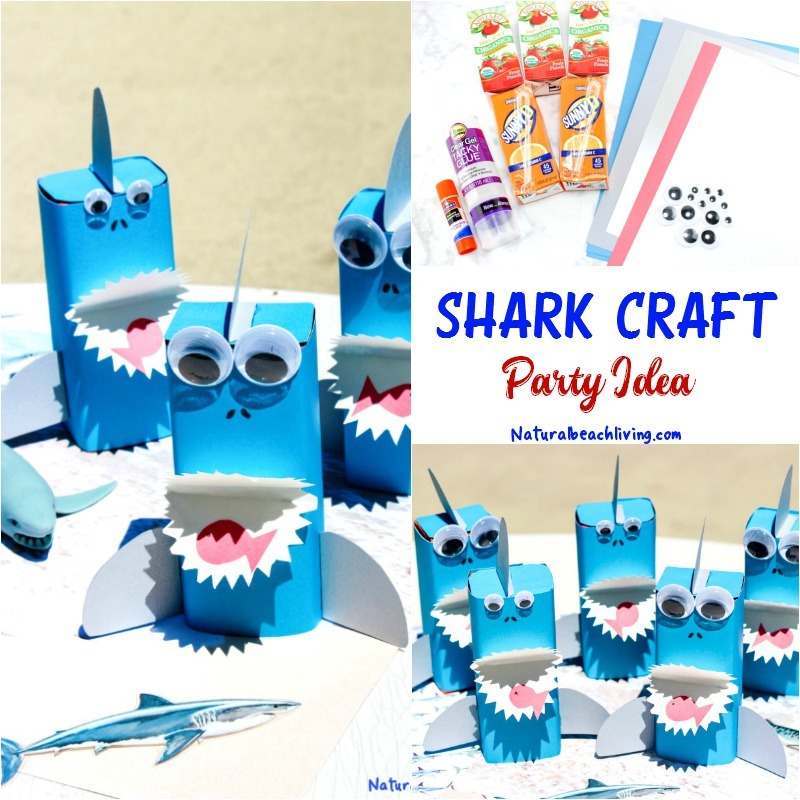 So today we are sharing a cool Shark Craft you can put together for your own Summer Party or Shark fan. 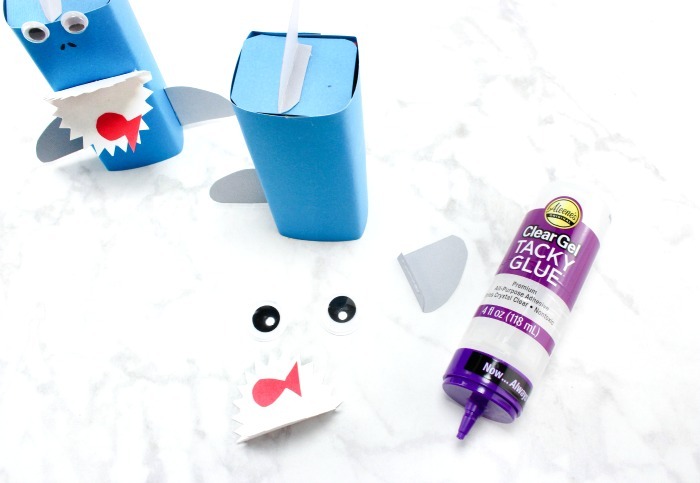 What you will need to make these Shark Craft Juice Boxes is in this picture below. I have what’s needed with the full recipe displayed in list form towards the bottom of the page. How cool are these?! 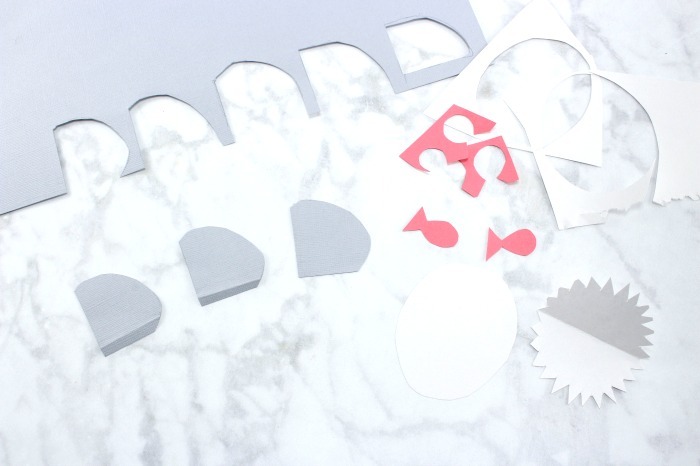 First draw and cut out 5 little red fish from the red paper or as many fish as you need for your Juice boxes. 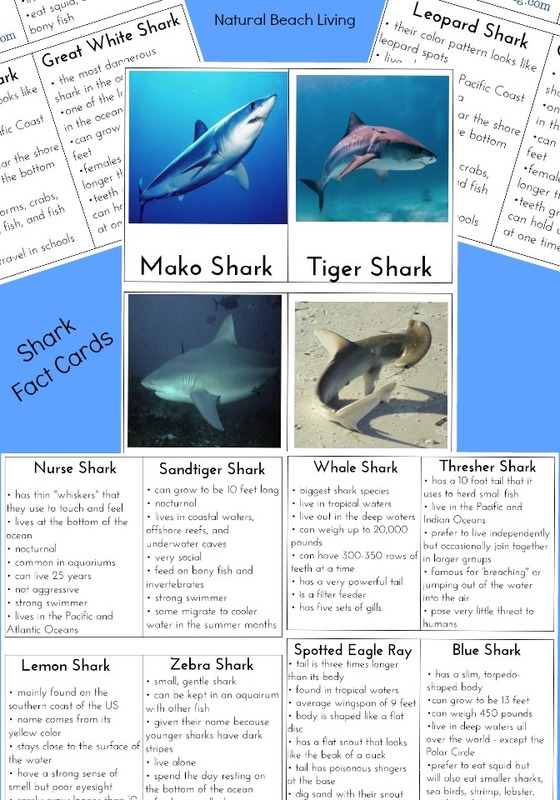 Next, draw 15 shark fins and cut these out of the grey paper, fold the bottom flat edge down on each one. Then, draw 5 large ovals out of the white paper. Mine are about 4 inches long. Cut out and fold in half. 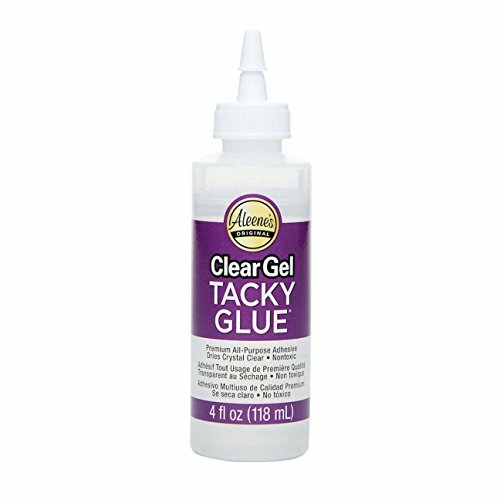 Cut jagged edges around the rounded edge, so when you open it, it will look like a large mouth with sharp teeth. 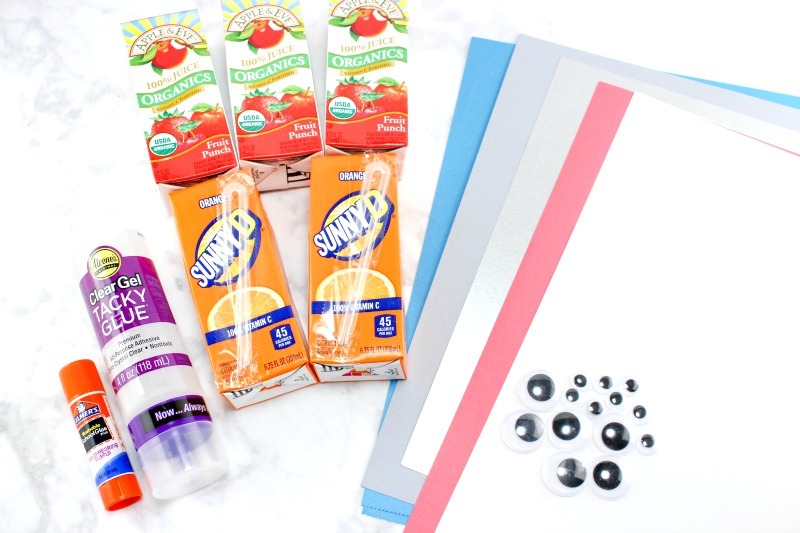 Now, cut a piece of the blue paper to fit around a juice box and glue it on. Repeat this with the other 4 juice boxes. 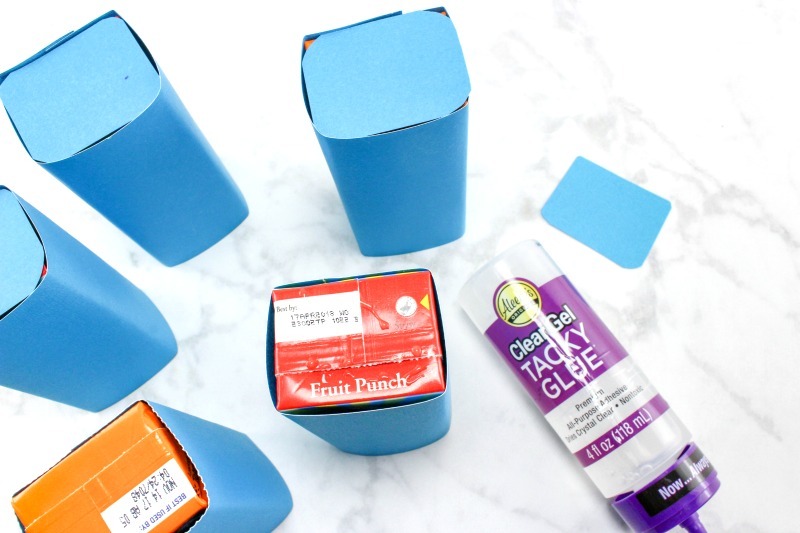 Cut small rectangle pieces of blue paper to fit on top of the juice boxes and glue these on each one. 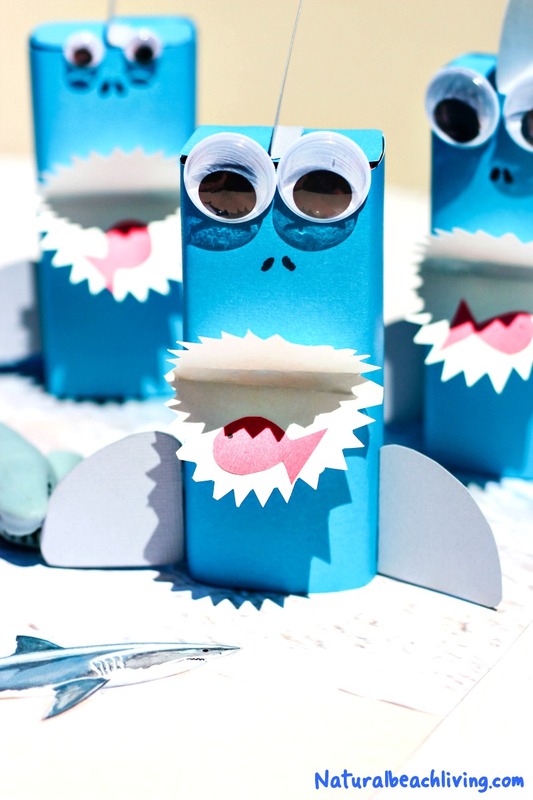 Glue each red fish onto each mouth and glue a mouth on each juice box. Glue 2 eyes on at the top edge of each box. 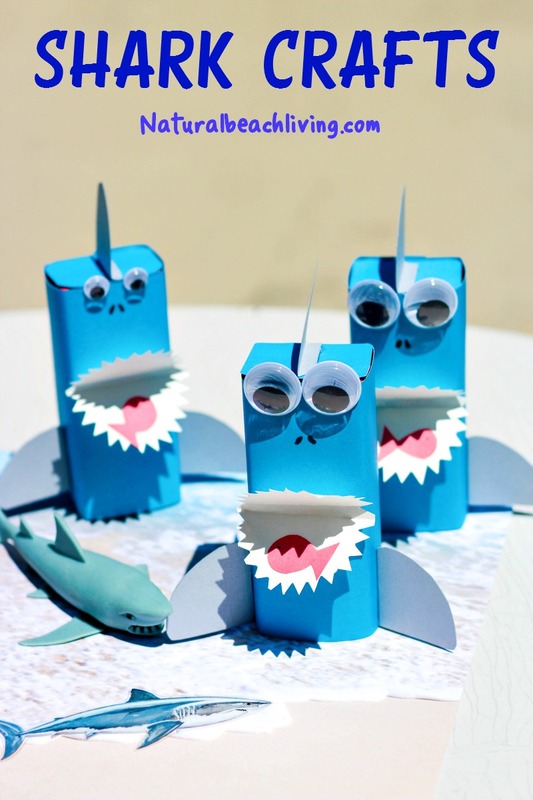 Glue a fin on top of each box and 1 fin on each side of the juice boxes using the fold to press against the box. Save the straws to pass out later when the kids drink them. 1. First draw and cut out 5 little red fish from the red paper. 2. 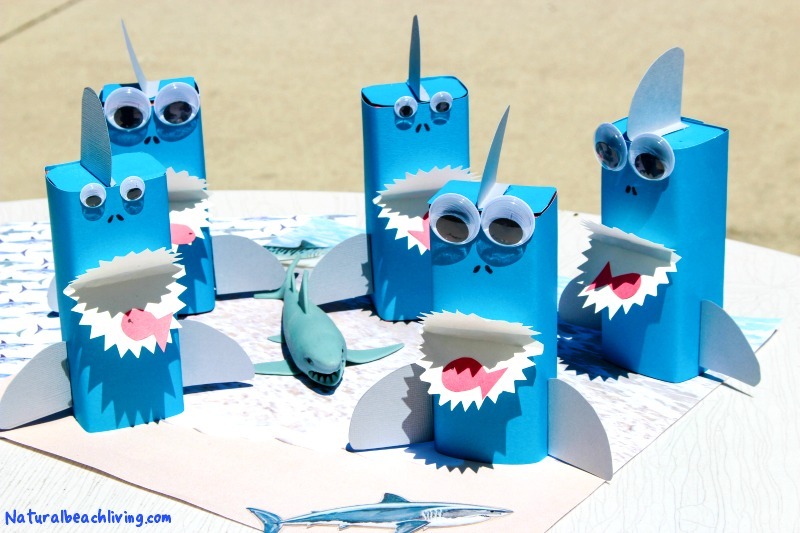 Next, draw 15 shark fins and cut these out of the grey paper, fold the bottom flat edge down on each one. 3. Then, draw 5 large ovals out of the white paper. Mine are about 4 inches long. Cut out and fold in half. 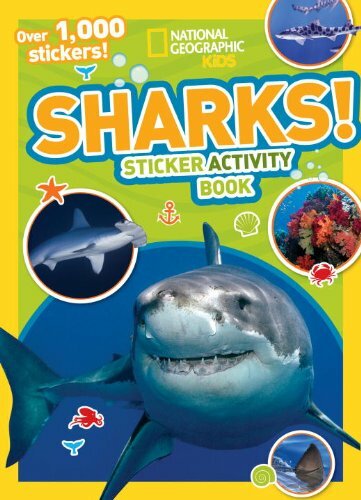 Cut jagged edges around the rounded edge, so when you open it, it will look like a large mouth with sharp teeth. 4. 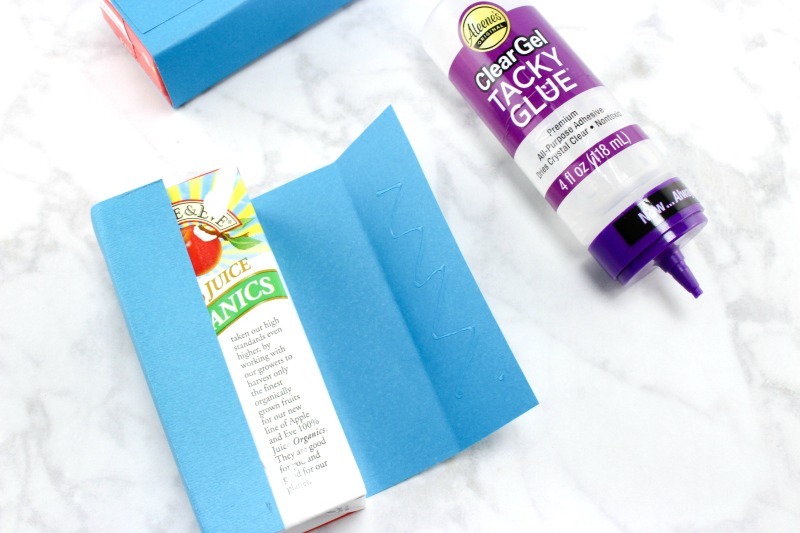 Now, cut a piece of the blue paper to fit around a juice box and glue it on. Repeat this with the other 4 juice boxes. 5. 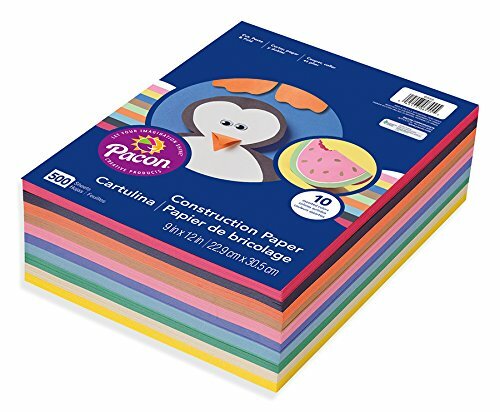 Cut 5 small rectangle pieces of blue paper to fit on top of the juice boxes and glue these on each one. 6. 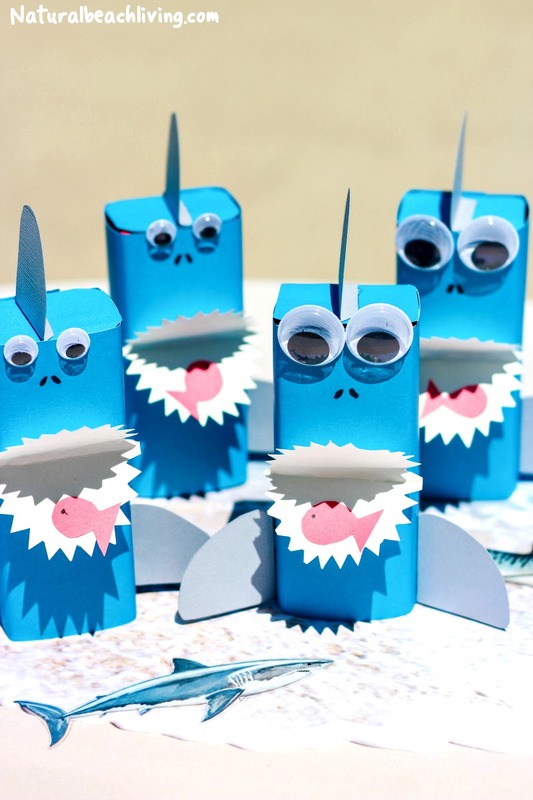 Glue each red fish onto each mouth and glue a mouth on each juice box. Glue 2 eyes on at the top edge of each box. 7. 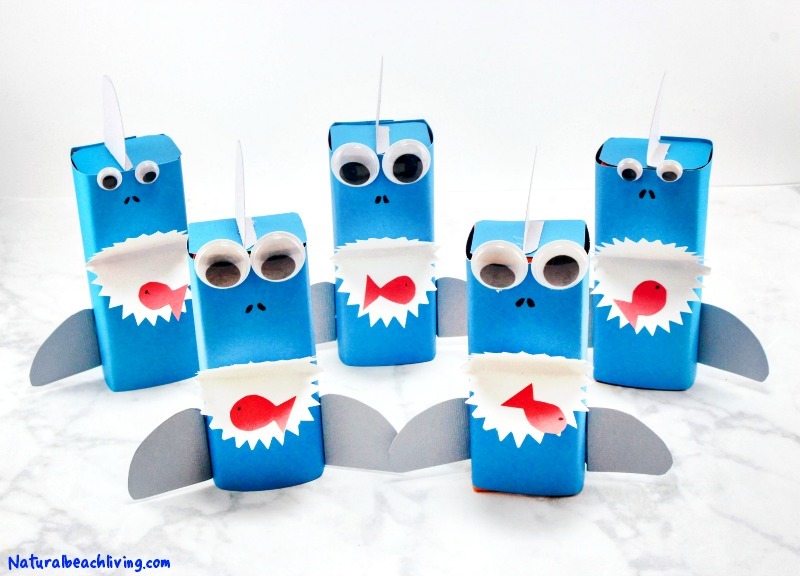 Glue a fin on top of each box and 1 fin on each side of the juice boxes using the fold to press against the box. 8. Save the straws to pass out later when the kids drink them. 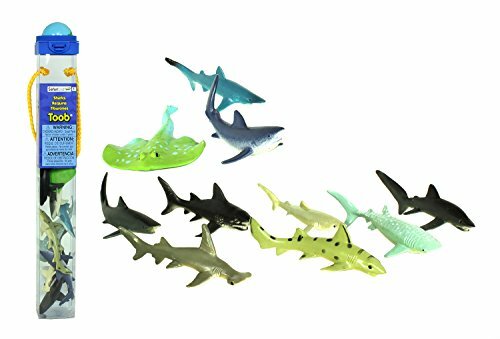 These are also perfect for Shark Week – Have Fun! 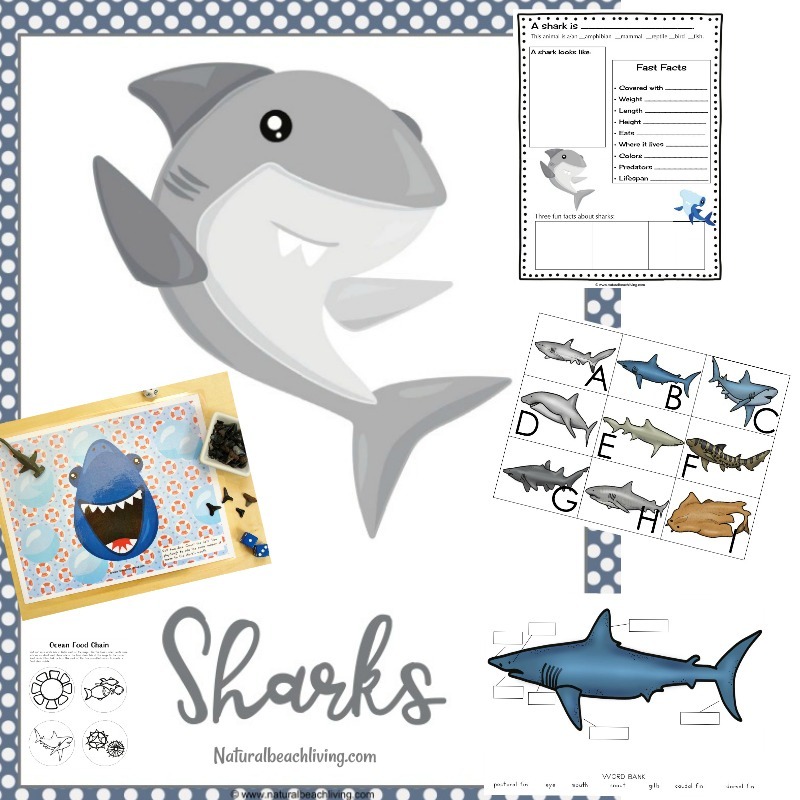 This themed unit study teaches all about sharks, the sharks of the world, parts of a shark, alphabet activities, graphing sizes, food chain and more. 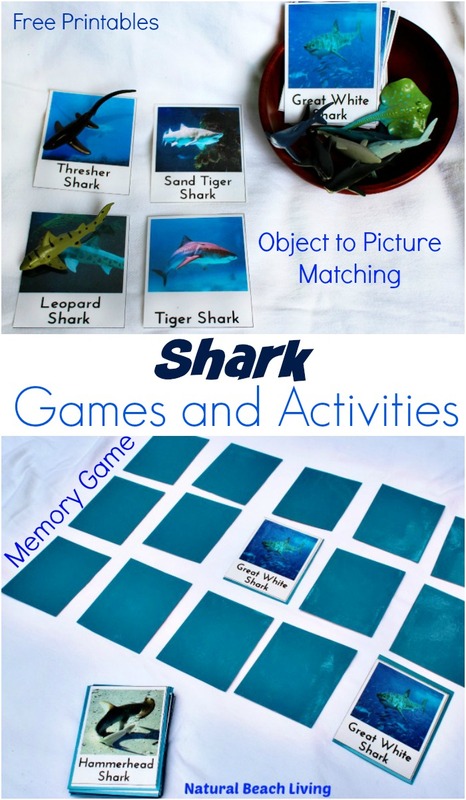 Packed with 35 pages of learning activities, this shark study is perfect for your children or students.